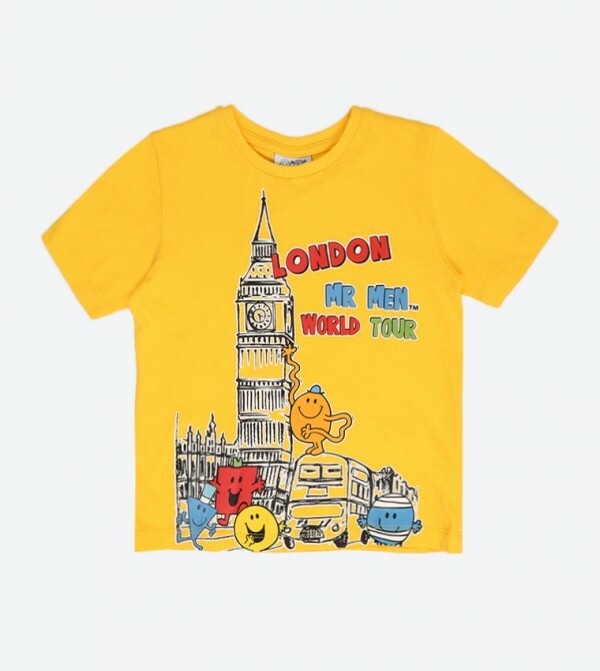 Make your little master look stylish in this yellow colored T-shirt from Adams Kids. Comfortable to wear all day long, this T-shirt is made from cotton that is soft against the skin. This T-shirt for boys ensures comfort and maximum breathability. While its trendy print will make him look stylish.